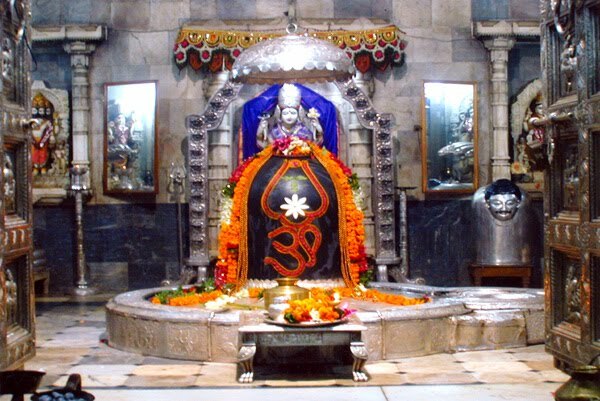 Somnath Jyotirlinga is located in the small village of Prabhas Patan in the proximity of Veraval district of Gujarat. This ancient temple town is home to the first of the 12 Jyotirlingas and lots of devotees visit for Lord Shiva and pilgrims revere the Lord Shiva as his follower. Since the ancient time, this temple is the excellent resistance against the passage of time and is still standing tall on the seashore of Gujarat. As the religious spot, it has the huge attraction from each corner of the country and offers the belief of calm. Somnath Jyotirlinga is a very pious and sacred shrine of Hindus. Its connection to several legends has made this temple as intriguing as beautiful. The name Somnath means the Protector of Moon. As the story goes by, once the King Daksha cursed the Moon and as a result moon lost its shine and beauty. Feeling worried moon prayed to Shiva and as a result the moon managed to regain its glory. This temple has been looted and destroyed several times by the Muslim invaders. And simultaneously the contemporary kings again made it stand with the same dignity and glory. In the same list and according to legends, Lord Krishna (another incarnation of Lord Vishnu), ended his life here. So, it is famous for and the pilgrims arrives here to worship and getting bless. Somnath jyotirlinga connect to major towns and cities of Gujarat. There are taxi services available from Dwarka (95 Kilometers), Gir Forest Reserve (45 Kilometers), Junagadh (90 Kilometers.) and Diu (95 Kilometers). It’s merely a ten to twenty minutes’ drive to reach Somnath jyotirlinga from the Patan Railway Station via car. If you don’t have a car then no need to worry. There are numerous online car rental companies which provide taxi hiring services in Somnath jyotirlinga. You can book a car online over the internet and enjoy here as well. Several online cab hiring packages are available for the tourists to enjoy an uninterrupted ride to the jyotirlinga. On the other hand, one can easily make a car hire for local and outstation in any city of the country.